This is NEW! Chocolate lovers, I know, I know... you can thank me later, after your choccie gorge sesh. 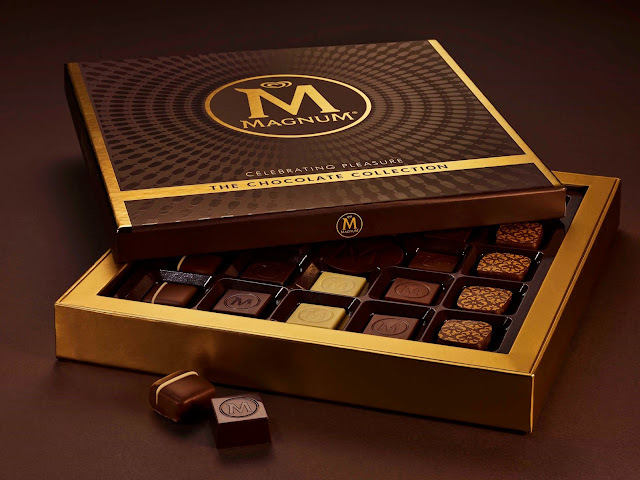 The MAGNUM luxury Chocolate Collection is here! Yep, this new range of delicious MAGNUM chocolates is now available for the first time in Australia. Chocolate lovers everywhere, listen up: MAGNUM Ice Cream (you know, that good stuff) has launched a brand new, luxury chocolate collection... and you’re invited to win it and try it! Yessss, you are! From one of Australia’s favourite ice cream brands comes MAGNUM Chocolate, an exclusive selection of treats made with Rainforest Alliance chocolate and featuring the signature Magnum crack. You know what I'm talkin' about, Magnum aficionados! It’s well known that Australians have a discerning palate and love premium chocolates -in fact, according to Magnum, it’s the growth sector for chocolate. Chocolate. Heaven. Now, now... Don't be jealous. You can win this whole pack so you can trial all you see here, too! See #josiesjuice #blog shortly for more. The new #magnum #chocolate range is out now, and yes... It's a must try! #magnumchocolate @magnumanz - yes, the famed #icecream is now a chocolate! Think blocks, bars, thins (the mint ones are my new fave!) abs flavours include: #mik, #dark, #white, #almondtruffle, #saltedcaramel, intense #raspberry, double chocolate (what? ), #almond classic, and #praline crunch. Thins also come in #espresso flavour #yum #foodporn #food #choc sold at: @bigwaustralia @targetaus @pricelineau now. FIVE to give away! The range is launching into Big W, Target and Priceline nationwide just in time for Christmas. Using highly refined chocolate to give an incredibly smooth texture, each premium chocolate block features the signature MAGNUM ‘M’ in the centre. Smooth thins that deliver the distinctive MAGNUM crack, as well as the signature MAGNUM ‘M’ stamp. 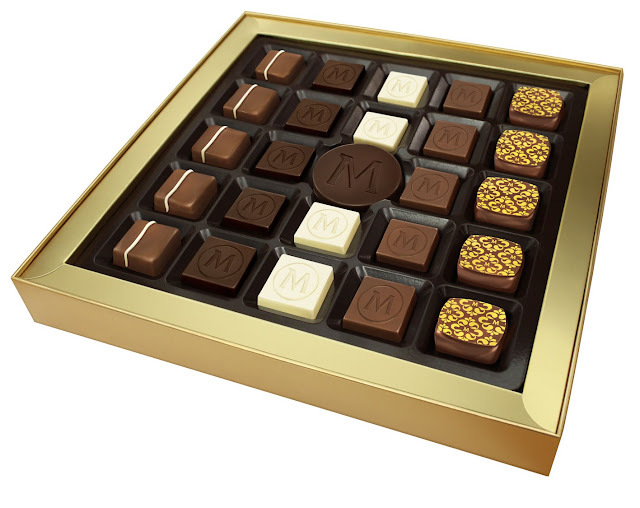 The MAGNUM Chocolate Collection is the perfect gift for a special host - an elegant box of luxury MAGNUM chocolates containing a variety of delicious flavours to celebrate pleasure. An irresistible new MAGNUM chocolate bar, based on the popular, unique and delicious almond ice cream. Featuring a rich almond truffle, roasted almond pieces covered in a double layer of thick MAGNUM white chocolate and MAGNUM classic milk chocolate, it’s perfect for your moment of pleasure. Eating chocolate releases the same hormones that our bodies make when we are in love! So, if you’re having a bad day, eat chocolate! Who doesn’t want glowing skin for summer? Well, by eating chocolate, you can maintain healthy skin because consuming cacao modulates healthy blood flow, literally giving you that glow! Eating chocolate increases endorphins, which are our body’s natural painkillers and trigger a positive feeling in the body - chocolate essentially makes people happy! So, next time someone you know needs some cheering up, score major friendship points by bringing them a block of chocolate. Those who consume chocolate, even a mere 1 – 3 times per month, had a 26.1% lower risk of developing heart failure, according to a 9-year Swedish study. Letting chocolate slowly dissolve in your mouth produces as big an increase in brain activity and heart rate as a long, slow passionate kiss – but the effects of chocolate last four times longer, according to a study by psychologist David Lewis. Chocolate’s Latin name “Theobrama Cacao” translates to “Food of the Gods” - no explanation needed! Cacao was first cultivated in Central America and Mexico in 1400-1100BCE. The Ancient Aztecs gradually discovered they could turn cacao beans into a delicious drink. In the 16th Century, explorers from Europe took the beans back to their home countries. In the 18th Century, the famous Italian lover Giacomo Casanova (1725-1798) used chocolate as an aphrodisiac. OKAY! You want the comp now! Here it is! Winners will have their gift box sent to them direct, pre-Xmas. Good luck!